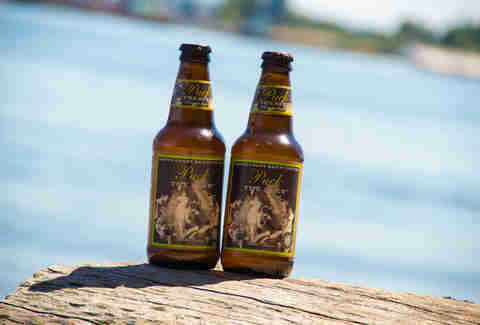 Summer is the season that practically begs for you to constantly be drinking beer. There are the BBQ parties, the rooftop parties, the pool parties, the beach parties, the picnic parties, and the party parties, each of which demands a very different type of brew. Luckily, we’ve done the painstakingly hard work of sampling beers to bring you this list of what we think will make your summer. 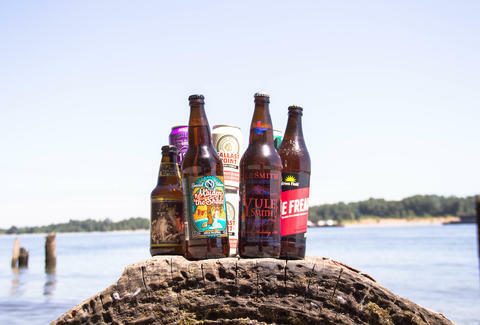 Because we're not beholden to the seasons, not all these beers are specifically summer seasonals -- some year-round beers just taste better in the summer. And we tried to pick beers that are available in a decently wide swath, or at least regionally prevalent. That said, let us know your favorite sunshine drinks in the comments. I may be biased since the first time I tried this beer was seconds after stepping out of the waves for the first time of the season, but I’m pretty sure Puck stands on its own merits. It’s made using pilsner malts and the brewery’s house saison yeast strain, with white pepper, lemon, and grassy flavors and aromas leading into a delicately bitter finish. It’s a true session beer that compromises nothing in flavor for lower ABV, as welcome at brunch as it would be way after sunset. I’m going to cut right to the chase and call this the ultimate summer session beer: it’s bright, citrusy, and super drinkable, thanks in no small part to the low ABV. You can keep this one in your hand all day on the beach (or, you know, boat) without fear of overindulging. You’ll be a huge hit for bringing this to any 4th of July parties, too. 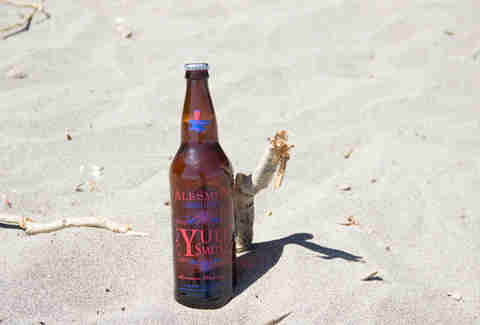 The style and place of origin for Summer YuleSmith may have you assuming this is nothing more than a West Coast hop-bomb. But this beer (which has a 100% on RateBeer, if you’re into that sort of thing) has an incredibly smooth body, piney nose, and a smattering of citrus flavors like lemon and orange zest, all tied together with a long, hoppy finish that tapers off at just the right pace to make this an incredibly drinkable imperial IPA. Go with the classic pairing call and drink this with a cheeseburger fresh off the grill. Spain’s recent craft beer surge has caught a lot of attention recently, with Barcelona quickly emerging as an epicenter of sorts. Edge Brewing has hit the ground running in Catalonia with a bunch of Belgian- and American-style beers, but Flor de la Vida stands strong as a summer-appropriate American pale ale. The biscuity malt backbone and floral hop aromas are beautifully balanced, with citrus flavors like orange zest coming through subtly at the finish. Sometimes, especially when you're mowing the lawn or pitching a tent, nothing beats an ice-cold can of lager. But that doesn't mean you can't get crafty with it. Everybody's take on the classic is smooth, but not without nuance. Just not too much nuance, because it's dangerous to think too hard about beer when you're mowing the lawn. With recently expanded availability, this IPA is becoming one of my go-tos for summer drinking. 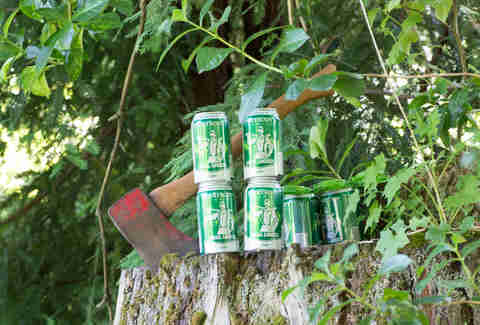 Hopheads will love the piney kick to the palate and nostrils (they’re using six varieties here, by the way) that gives way to a gorgeous malty finish that makes it stand out in a very crowded sea of American IPAs. Bonus points for the canned format, which makes it super portable and good for poolside or beach consumption. Don’t be confused by the inclusion of “grapefruit” in the name of this beer: this is an IPA, NOT a shandy, even though it is made using real grapefruit. Mango, apricot, lime zest, and (duh) grapefruit pith flavors reign in the flavor profile, all harmoniously enhanced by the aromatic hops. If you can’t find this on draft, consider picking up cans over bottles, which in our tastings did a much better job of preserving flavors and aromas than the bottled version of the same beer. Saison Renaud is what would happen if pilsner and saison hooked up and had a baby: the brewers use pilsner malts and Saaz hops (both trademarks of pilsner) while pitching signature saison yeast, which results in a grassy, peppery, and vaguely fruity brew. 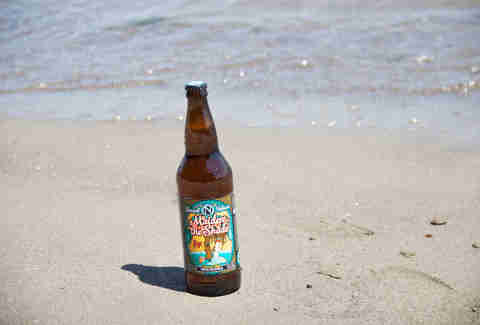 It’s complex in all of the ways you’d want a summer beer to be, without any of the overbearing flavors or fuss. 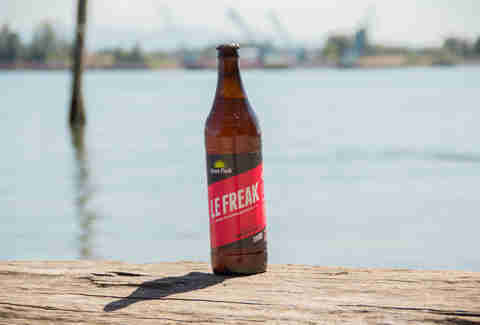 This cork & cage beauty should be your go-to “picnic date” beer. 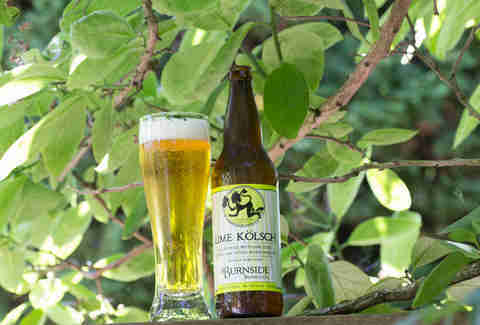 Burnside’s Lime Kolsch runs almost counter to the regular roster that includes a Sweet Heat chili beer and an Oatmeal Pale, in that this is just a great, easy-drinking kolsch that somehow gets better every year. And the infusion of lime makes choking on a rind all but a dream of the past. On a hot day, this is pretty hard to beat. One of Ommegang’s newest and most unsung offerings is the perfect beer for the Belgian fanatics who find little love in the summer seasonal category. Lemon, pear, pepper, banana, and slight floral hops all come across in this blonde ale, which is as good as a standalone beverage as it is a pairing with a ton of a different dishes. Yes, it's a fizzy yellow beer in a can. But if you're expecting anything familiar about this particular beer, you're in for a hell of a surprise. The sourness of AV's session gose is pronounced, but the zesty lemon bite is balanced out by an earthiness that makes it the perfect outdoor beer for anyone that's into the more sour end of the spectrum. Most people would never dream of reaching for a dark beer on a 90-degree day, but this robust porter can play a key role in your BBQ game. Roasted dark coffee and chocolates notes with a full body and just a slightly sweet finish make this the perfect drink to stand up to hearty foods like burgers, ribs, grilled sausages, and pulled pork. Also, this beer tastes pretty on point alongside your post-dinner freshly scooped ice cream. I’ve never come across a more divisive beer than this summer seasonal made with Old Bay spice, but those who try this beer usually fall for it hard. I find the unique savory qualities perfect for pairing it up alongside all of the major summer foods like BBQ meats, lobster, and obviously your huge crab boil littered with Old Spice tins all over the tables. Something also tells me that this beer would be great for boiling hot dogs, too (if that’s your thing). The folks at Green Flash decided to see what would happen if they mated a Belgian triple with an imperial IPA. The resulting lovechild has retained the best traits from both its parents, with a nice hoppy bitterness counteracting the fruit notes and the yeast. And, like Van Damme, it's very dangerous: anything this drinkable at 9.2% should be approached with caution. I’ve never encountered hot weather that hasn’t made me crave a hefeweizen, and this beer is one of the first I seek out when the temperature spikes up. It has just enough of the clove, banana, and bubblegum aromas and flavors to keep it complex without becoming overbearing, and a creamy medium-body mouthfeel that feels like you’re giving your tongue a hug with every sip. It’s perfect for the day drinking that comes hand in hand with summer. There was once a time when fruit in beer was a widely accepted, generally well-executed tradition... until the big breweries around the world began bastardizing the practice with gross syrups and concentrates. This beer is as refreshing and beautiful as eating raspberries right off the bush, with a bracingly tart sourness that drinks so well in the hot summer months. You’ll even be able to win over your non-beer-drinking friends with this one. Ninkasi’s profile keeps growing -- it's even released an imperial stout made with yeast shot into space this year... and it was actually good! -- but in the summer, it’s all about Maiden the Shade. 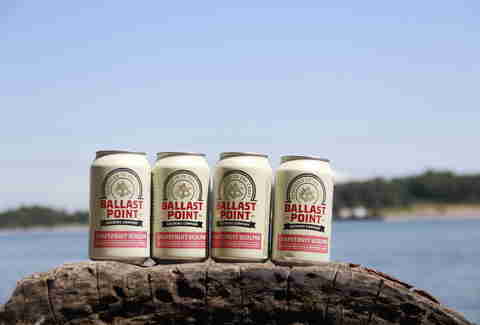 Since 2009, it’s garnered a cult following for its balance of strong hops somehow tweaked to make it the perfect beer to drink in the sun. 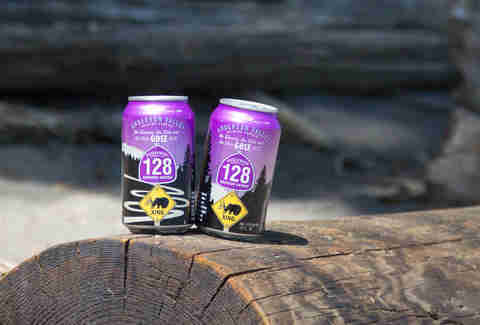 When you’re looking for a heavier beer that seems lighter than it is, you should probably trust brewers who spend most of their time drinking outside. Besides the easy connection with the 4th, this is another slam dunk from an awesome brewery. It’s truly geeky: pilsner malts, beautiful Nelson Sauvin hops (so hot right now! ), two strains of brett, and wine yeast make this is as complex as they come. It’s as citrusy and herbal as a Sauvignon Blanc with a nice dry finish and peachy undertones that have been run through the barnyard. (And call me a stickler for good package design, but I’m hard-pressed to find another brewery whose labels are as consistently awesome as Prairie’s). Thrillist senior editors contributed several beers to this list -- probably the more poorly written ones.